In 2002, Dr. Smith graduated from The University of Texas at Austin with a bachelor in business administration. She completed her doctor of medicine at Texas A&M University System Health Science Center in 2006. In 2010, she completed her specialty training in Obstetrics and Gynecology at The University of Texas Health Science Center through the Memorial Hermann Hospital program. 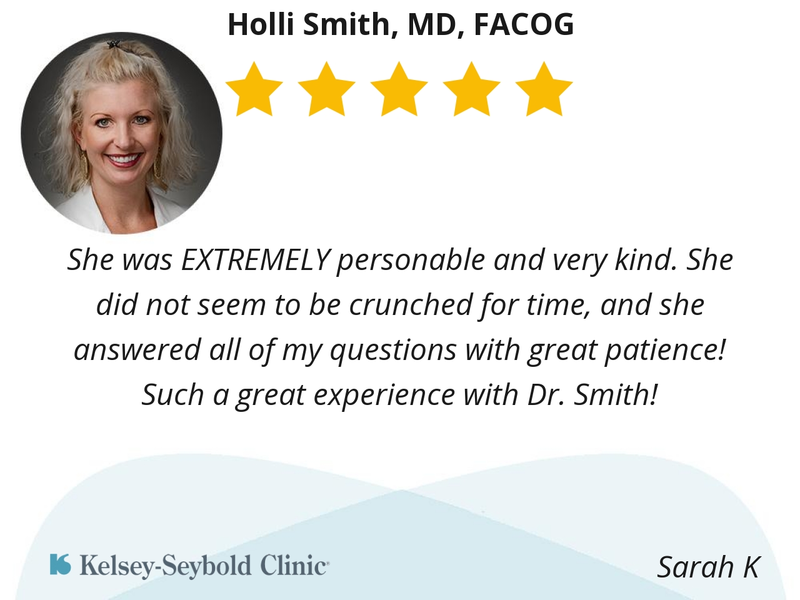 Dr. Smith is personable and listens. She made this very uncomfortable visit extremely pleasant. Dr. Smith is truly the best OB doctor that I/We have ever known! She made my second pregnancy & c-section delivery such a joy for my husband & I! She is extremely intelligent, skilled, kind, compassionate, beautiful, professional, and has a heart of gold! We are blessed to know her and Kelsey-Seybold Clinic is blessed to have her as a physician!!! 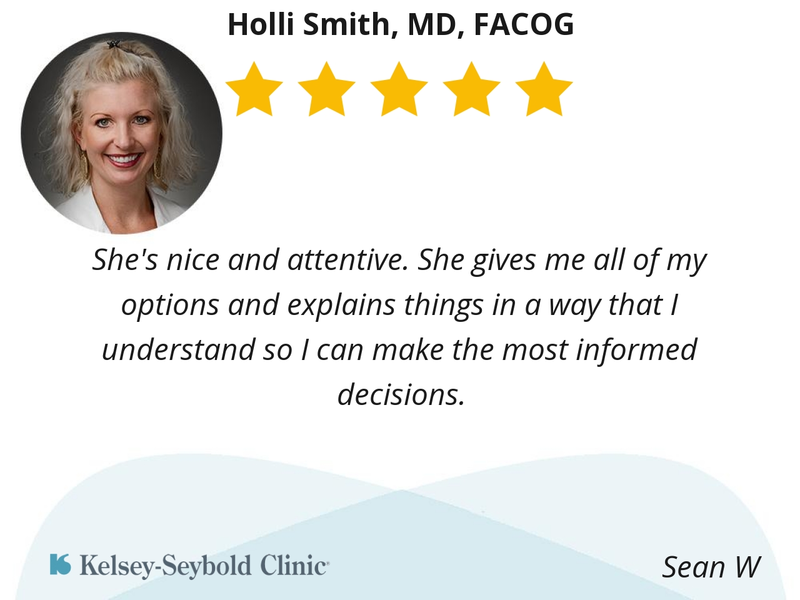 She exceeded our expectation as a healthcare provider. With physicians like Dr. Smith, Kelsey-Seybold Clinic will become the top leading healthcare facility in Texas! We could not be more thankful for her! 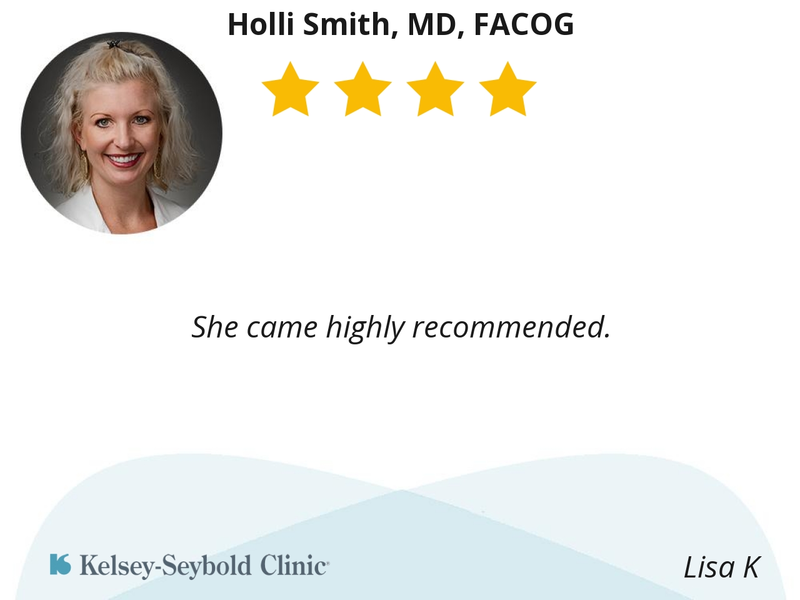 Dr. Holli Smith is a friendly knowledgeable obgyn who really listens to what you are swaying and is very easy to talk to. She took time to listen to all my concerns and really talk with me. Dr. Smith listens, she shares information and, most of all, cares. My daughter also uses her and likes her. 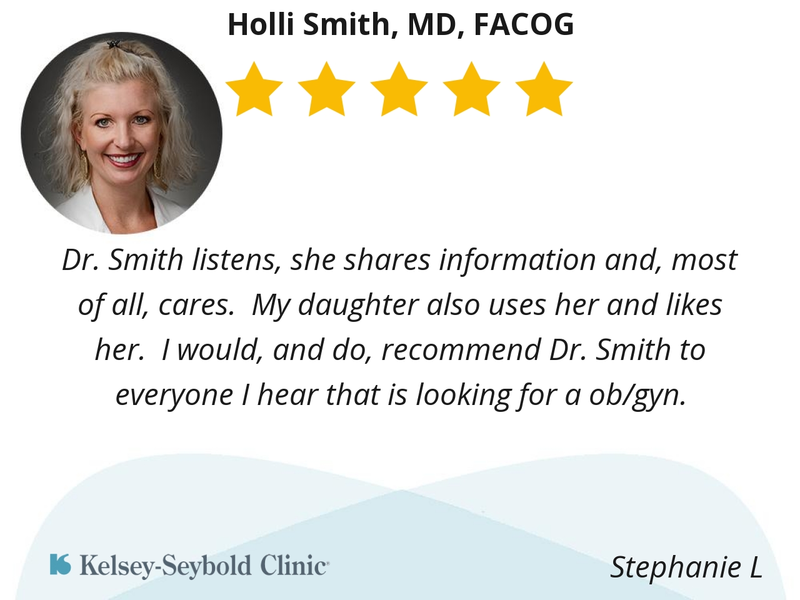 I would, and do, recommend Dr. Smith to everyone I hear that is looking for a ob/gyn. Dr Smith was very nice to me. She is very personal and trough. She’s professional, has a great bedside manner, explains test results and needed procedures. She was EXTREMELY personable and very kind. She did not seem to be crunched for time, and she answered all of my questions with great patience! Such a great experience with Dr. Smith! Dr. Holli is extremely knowledgeable but also super friendly and makes you feel at ease. She pays attention to detail, is very friendly and personable, and really takes the time to get to know her patients. 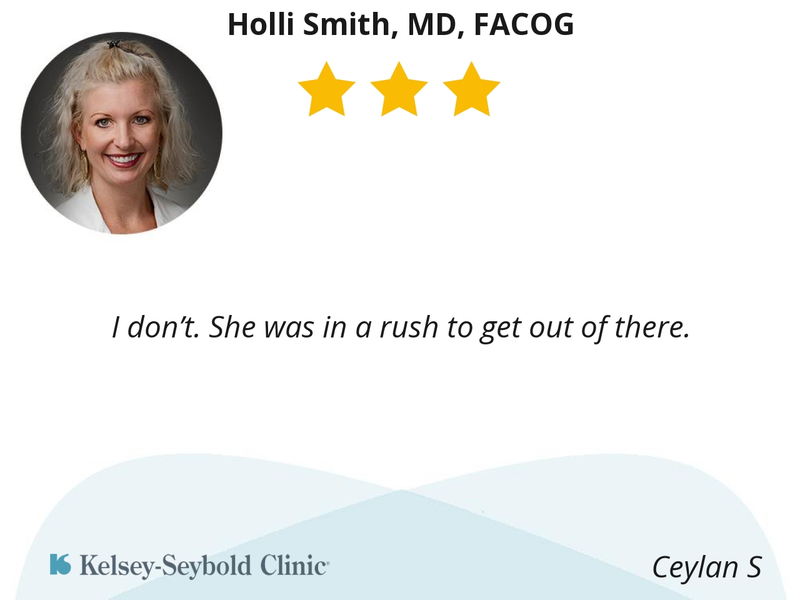 Dr. Smith has an instantly-magnetic bedside manner, making you feel at ease while also trusting in her ability to provide quality care. She offered helpful treatment options and explanations during my first exam that my previous doctor (of 20 years) had never even suggested. She's nice and attentive. She gives me all of my options and explains things in a way that I understand so I can make the most informed decisions. I don’t. She was in a rush to get out of there. She is so personable and happy. She knows her stuff too. Just love her:) . I drive an hour to see her bc she is so good! She’s very personable and easy to talk to about any issues you may have! She’s very personal and easy to talk to!